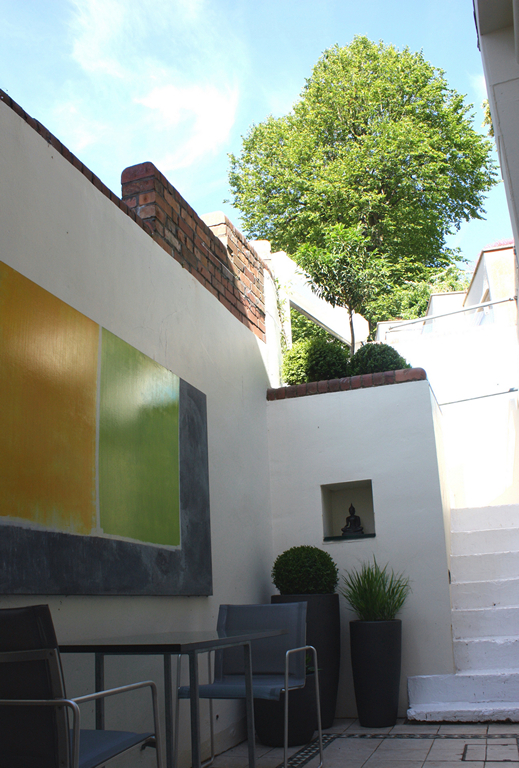 Small split-level garden (5x7m) in Clifton Bristol comprising a lower tiled courtyard space linked to an upper deck area. 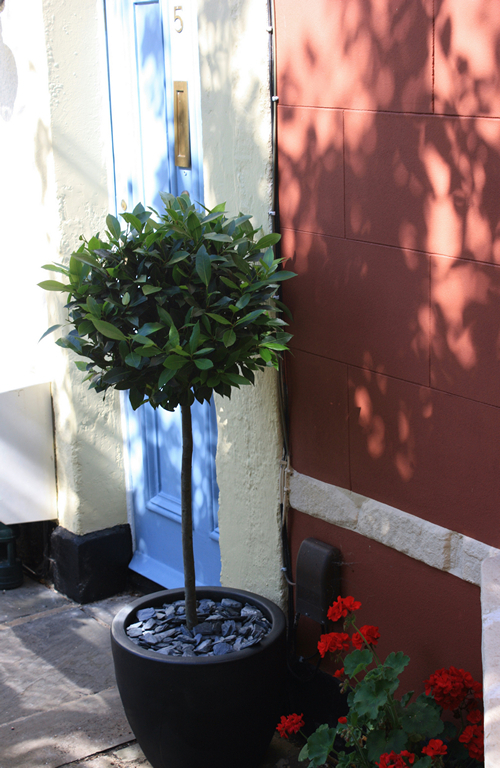 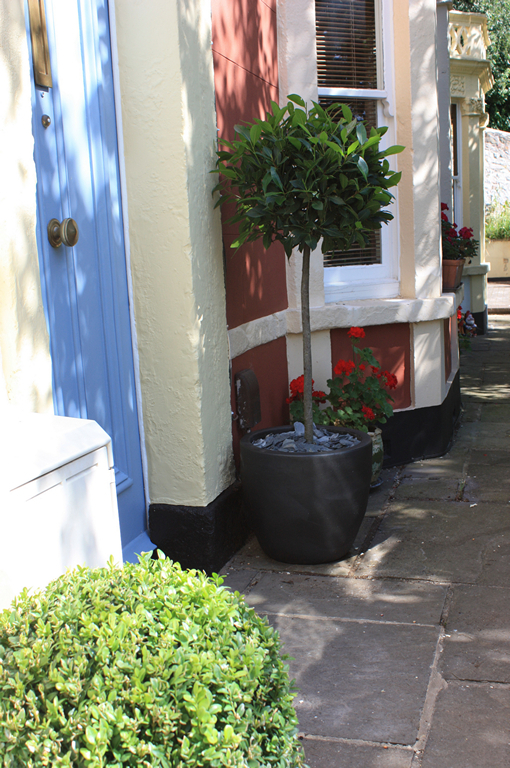 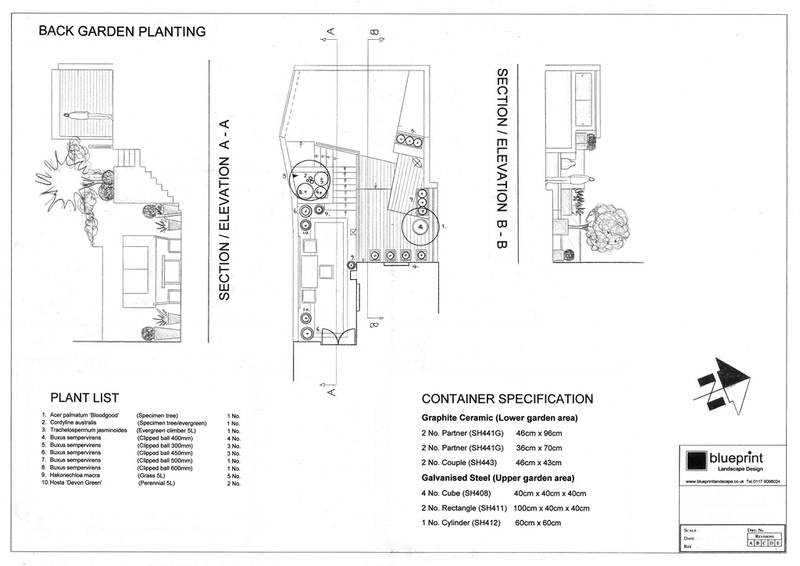 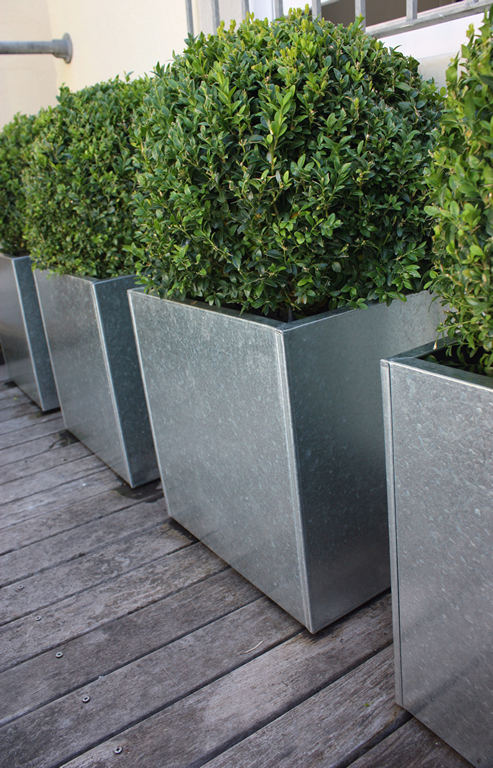 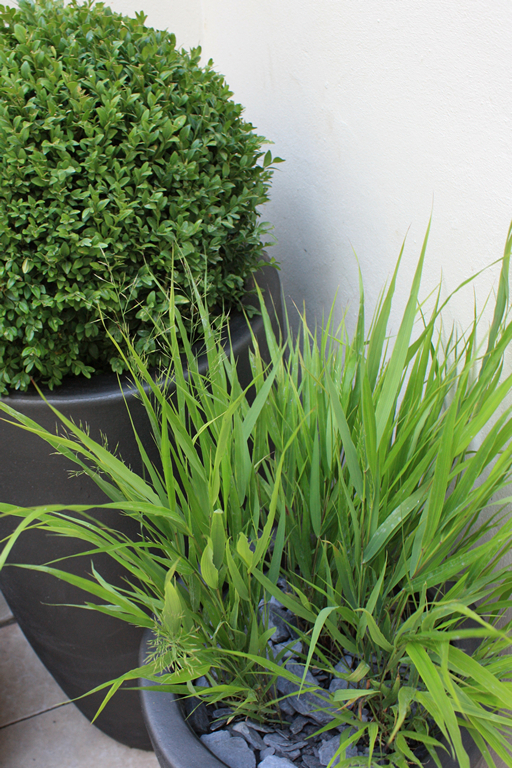 Planting is predominantly in large containers with a contrasting mixture of finishes in galvanised steel and graphite ceramic. 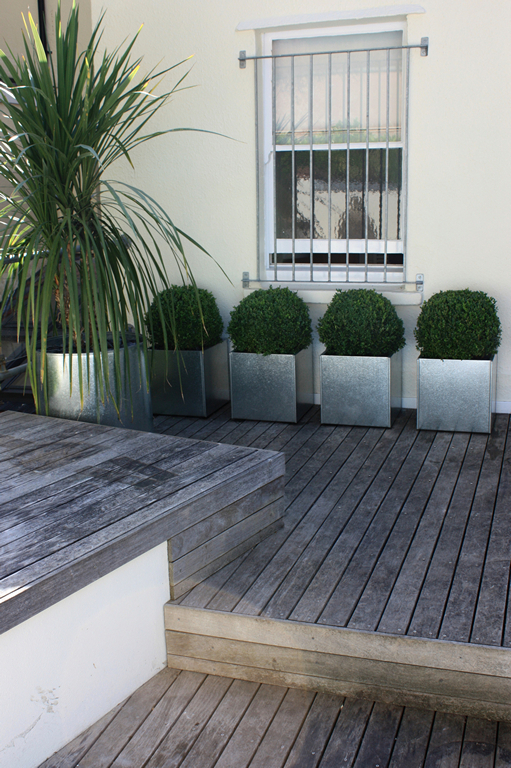 A restrained planting palette provides bold architectural structure and year round interest, creating a wonderfully private and low maintenance outdoor space.